Hello, my name is Lorenzo Galelli, I have been working with availability and virtualization solutions for Symantec for over a decade now and its amazing to see the impact virtualization has brought to the world of IT. During my time at Symantec I have worked as a systems engineer for customers big and small and seen a vast array of different virtualization projects. I am currently Technical Product Manager for ApplicationHA for VMware and KVM and I also have focus on VDI especially with Symantec's VirtualStore and FileStore technologies. Follow my blog for all things Symantec and virtualization. Opinions expressed here are my own. Finally grabbed some time to setup a new self hosted WordPress site, all the previous posts are now there, I’m using the IONOS Enterprise Cloud to host the site and incorporated Cloudflare for higher levels of resiliency and performance. Thanks for your continued support and visits. In the first series on this post I looked at Azure VMs and provided a comparison with IONOS Enterprise Cloud, this next part will focus on AWS. As a bit of background in case you haven’t read the first part yet, I’ve been working with the major cloud vendors for some years now and for me performance has always been a key factor when choosing the right platform, I’ve always struggled in finding the right balance of cost vs configuration when choosing the right platforms and have created this blog to highlight some of the differences. I’ve just started a new role as Cloud Architect for 1&1 IONOS Enterprise cloud and one of the main factors in coming here was the technology and some of the claims that it makes especially with performance and simplicity. This blog will highlight those performance claims and also the cost benefit that choosing the right cloud provider will be for you. For these test I’ve kept it simple, I’m using a small instances that will host microservices so cost is one variable but performance is another, I will be creating an instance with 1 vCPU and 2Gb RAM this system will be a base line for testing and I will use Novabench (novabench.co.uk) for some basic CPU and RAM performance modelling. There are so many tools out there and I find this one real quick and simple to test again some key attributes also using the same tool for the instances will show unbiased results too. So on with the comparison and next up is AWS, as AWS doesn’t have a 1 CPU and 2GB RAM flavour to choose from I’ve selected the M4_large size as this is as near as consistent with other instances on the clouds I have been testing all be it double that of the IONOS Enterprise Cloud size, the CPU used is an Intel Haswell E5-2660 and the price for this including windows server licensing and support costs comes out at $140.55 per month which equates to £109.22 as calculated by Google currency converter at the time of writing. For IONOS Enterprise Cloud I’ve also selected a slightly reduced spec to AWS and have used the Intel Haswell E5-2660v3 based chip for the OS as this going by my testing should be very close to the M4 Large instance in AWS, as with AWS I’ve also included the Windows Server license cost in the subscription along with 24/7 support which is actually free. The monthly cost for this server is £50.96 so comparing costs of using IONOS Enterprise Cloud there would be a saving of £699.12 over the year, a saving is a saving so on paper the costs look good so far. Now what about performance tests between the two? First I wanted to see how the external and internal internet connectivity was performing, to no big surprise IONOS way out performed AWS by a factor of 2, which is to be expected given the infrastructure backend design running on InfiniBand and the datacentre interconnects. The AWS results were interesting to a point that twice as much resources were required to get to the same level of the IONOS instance. The AWS instance had a more or less equal score for its CPU, RAM and Disk benchmark but it must be noted that the AWS resources are shared resources instances being hosted on AWS, the RAM score was also at a lower throughput with a difference of 5733 MB/s, but what was noticeable was that the disk read and write performance was half that of IONOS. The IONOS Enterprise cloud exhibited similar results to AWS but consumed half the resources. Due to the dedicated resources that are used by IONOS Enterprise Cloud it becomes apparent that other Public Cloud vendors have to double (AWS & Google) or even quadruple (Azure) their resource configurations to be comparable in performance to IONOS. When comparing AWS to IONOS to get to similar performance of that of IONOS Enterprise Cloud the AWS instance would need to be reconfigured by a factor of 2 which would increase the monthly cost to $140.55 or £109.22 which would equate to £1310.64 for the year of which £700.12 would be for the cost of an equal performance instance of that of the IONOS instance, don’t forget this is for a single system so once you’re deploying 100s or 1000s of instances that soon racks up. Can you really justify that type of expense of spending an additional £700 per year for one system for the same performance? IONOS Enterprise Cloud provides dedicated CPU and Memory and is surely the way to go. I’ve been working with the major cloud vendors for some years now and for me performance has always been a key factor when choosing the right platform for Infrastructure-as-a-Service, I’ve always struggled in finding the right balance of cost vs configuration when choosing the right platforms and have created this 3 part blog to highlight some of the differences I’ve seen between Azure, AWS and Google Cloud. I’ve just started a new role as Cloud Architect for 1&1 IONOS, working in the Enterprise Cloud division, and one of the main factors in coming here was the technology stack and the surrounding network settings and some of the claims that it makes especially with performance and simplicity. This blog will highlight those performance claims and also the cost-benefit that choosing the right cloud provider will be for you. For the tests I’ve kept it simple, I will be using small instances that will host eventually host microservices with Docker so cost will be one variable but performance is another, I will be creating an instance with 1 vCPU and 2Gb RAM, this system will be a baseline for testing, I will use Novabench (novabench.com) for some basic CPU and RAM performance modelling. There are so many tools out there but I find this one real quick and simple to test against some key attributes, I will also use the same tool for all the cloud vendors instances so this should show unbiased results too. For IONOS Enterprise Cloud I’ve also selected a similar spec and have used the Intel Haswell E5-2660 v3 based chip for the OS as this will be very close to the A1_v2 instance in Azure, Like Azure I’ve also included the Windows Server license cost in the subscription along with 24/7 support which is actually free. The monthly cost for this server is £50.96 so comparing costs of using IONOS Enterprise Cloud there would be a saving of £134.88 over the year, a saving is a saving, so on paper the costs look good so far. Now, what about performance tests between the two? First I wanted to see how the external and internal internet connectivity was performing, so no big surprise, IONOS way outperformed Azure by a factor of 3, which is to be expected given the infrastructure back end design running on InfiniBand and the datacentre interconnects. The Azure instance had a low score for its CPU benchmark which makes sense as the CPU is a shared resource with other instances being hosted on that Hyper-V cluster node within the Azure cloud, the RAM score was also low with a throughput of 3929 MB/s, but what was noticeable was that the disk read performance was good with a throughput of 163 MB/s but write speeds were a complete polar opposite. The CPU performance was 385% that of the CPU in Azure and for Azure to achieve a similar score an additional 3 CPUs would have to be added to maintain the same CPU score. The RAM speed also was way beyond that of Azure and achieved 19318 MB/s a factor of 3 times faster, the disk read & write performance both outperformed Azure, it did maintain an equal throughput for both write and read speeds with writes outperforming by 18 times that of Azure. Just a note here that I used a standard HDD as the storage medium and could have used an SSD instead which would have increased the performance even more. Finally, I configured another instance in IONOS Enterprise Cloud using an AMD Opteron 62xx 2.8Ghz processor to see it that could match the Intel-based Azure instance and for much of the benchmark scores it was comparable to the Azure instance, even better the cost of the instance was £31.52 a month giving a saving £368.16 over the year. It should be mentioned that IONOS Enterprise Clouds let you configure cores and storage at will in the most granular way possible: core by core and Gigabyte by Gigabyte. For Azure to catch up to similar performance of that of IONOS Enterprise Cloud the Azure instance would need to be reconfigured to a A4_v2 size this is 4 times the resources of the IONOS Instance which would increase the monthly cost to £182.44 which would equate to £2210.64 for the year of which £1599.12 would be for the cost of an equal performance instance of that of the IONOS instance. Can you really justify that type of expense of spending an additional £1600 per year for the same performance? IONOS Enterprise Cloud employs KVM based virtualisation making extensive use of hardware virtualisation and maps the CPU power of a real core to a vCPU and provides dedicated memory so it is surely the way to go. VMware is announcing vSphere 6.7, the latest release of the industry-leading virtualization and cloud platform. vSphere 6.7 is the efficient and secure platform for hybrid clouds, fueling digital transformation by delivering simple and efficient management at scale, comprehensive built-in security, a universal application platform, and seamless hybrid cloud experience. Explosive growth in quantity and variety of applications, from business-critical apps to new intelligent workloads. The rapid growth of hybrid cloud environments and use cases. On-premises data centers growing and expanding globally, including at the Edge. Security of infrastructure and applications attaining paramount importance. vSphere 6.7 builds on the technological innovation delivered by vSphere 6.5, and elevates the customer experience to an entirely new level. It provides exceptional management simplicity, operational efficiency, and faster time to market, all at scale. vSphere 6.7 delivers an exceptional experience for the user with an enhancedvCenter Server Appliance (vCSA). It introduces several new APIs that improve the efficiency and experience to deploy vCenter, to deploy multiple vCenters based on a template, to make management of vCenter Server Appliance significantly easier, as well as for backup and restore. It also significantly simplifies the vCenter Server topology through vCenter with embedded platform services controller in enhanced linked mode, enabling customers to link multiple vCenters and have seamless visibility across the environment without the need for an external platform services controller or load balancers. These performance improvements ensure a blazing fast experience for vSphere users, and deliver significant value, as well as time and cost savings in a variety of use cases, such as VDI, Scale-out apps, Big Data, HPC, DevOps, distributed cloud native apps, etc. vSphere 6.7 improves efficiency at scale when updating ESXi hosts, significantly reducing maintenance time by eliminating one of two reboots normally required for major version upgrades (Single Reboot). In addition to that, vSphere Quick Boot is a new innovation that restarts the ESXi hypervisor without rebooting the physical host, skipping time-consuming hardware initialization. Another key component that allows vSphere 6.7 to deliver a simplified and efficient experience is the graphical user interface itself. The HTML5-based vSphere Client provides a modern user interface experience that is both responsive and easy to use. With vSphere 6.7, it includes added functionality to support not only the typical workflows customers need but also other key functionality like managing NSX, vSAN, VUM as well as third-party components. vSphere 6.7 builds on the security capabilities in vSphere 6.5 and leverages its unique position as the hypervisor to offer comprehensive security that starts at the core, via an operationally simple policy-driven model. vSphere 6.7 adds support for Trusted Platform Module (TPM) 2.0 hardware devices and also introduces Virtual TPM 2.0, significantly enhancing protection and assuring integrity for both the hypervisor and the guest operating system. This capability helps prevent VMs and hosts from being tampered with, prevents the loading of unauthorized components and enables guest operating system security features security teams are asking for. Data encryption was introduced with vSphere 6.5 and very well received. With vSphere 6.7, VM Encryption is further enhanced and more operationally simple to manage. vSphere 6.7 simplifies workflows for VM Encryption, designed to protect data at rest and in motion, making it as easy as a right-click while also increasing the security posture of encrypting the VM and giving the user a greater degree of control to protect against unauthorized data access. vSphere 6.7 also enhances protection for data in motion by enabling encrypted vMotion across different vCenter instances as well as versions, making it easy to securely conduct data center migrations, move data across a hybrid cloud environment (between on-premises and public cloud), or across geographically distributed data centers. vSphere 6.7 introduces support for the entire range of Microsoft’s Virtualization Based Security technologies. This is a result of close collaboration between VMware and Microsoft to ensure Windows VMs on vSphere support in-guest security features while continuing to run performant and secure on the vSphere platform. vSphere 6.7 delivers comprehensive built-in security and is the heart of a secure SDDC. It has deep integration and works seamlessly with other VMware products such as vSAN, NSX and vRealize Suite to provide a complete security model for the data center. vSphere 6.7 is a universal application platform that supports new workloads (including 3D Graphics, Big Data, HPC, Machine Learning, In-Memory, and Cloud-Native) as well as existing mission critical applications. It also supports and leverages some of the latest hardware innovations in the industry, delivering exceptional performance for a variety of workloads. vSphere 6.7 further enhances the support and capabilities introduced for GPUs through VMware’s collaboration with Nvidia, by virtualizing Nvidia GPUs even for non-VDI and non-general-purpose-computing use cases such as artificial intelligence, machine learning, big data and more. With enhancements to Nvidia GRID™ vGPU technology in vSphere 6.7, instead of having to power off workloads running on GPUs, customers can simply suspend and resume those VMs, allowing for better lifecycle management of the underlying host and significantly reducing disruption for end-users. VMware continues to invest in this area, with the goal of bringing the full vSphere experience to GPUs in future releases. vSphere 6.7 continues to showcase VMware’s technological leadership and fruitful collaboration with our key partners by adding support for a key industry innovation poised to have a dramatic impact on the landscape, which is persistent memory. With vSphere Persistent Memory, customers using supported hardware modules, such as those available from Dell-EMC and HPE, can leverage them either as super-fast storage with high IOPS, or expose them to the guest operating system as non-volatile memory. This will significantly enhance performance of the OS as well as applications across a variety of use cases, making existing applications faster and more performant and enabling customers to create new high-performance applications that can leverage vSphere Persistent Memory. With the fast adoption of vSphere-based public clouds through VMware Cloud Provider Program partners, VMware Cloud on AWS, as well as other public cloud providers, VMware is committed to delivering a seamless hybrid cloud experience for customers. vSphere 6.7 introduces vCenter Server Hybrid Linked Mode, which makes it easy and simple for customers to have unified visibility and manageability across an on-premises vSphere environment running on one version and a vSphere-based public cloud environment, such as VMware Cloud on AWS, running on a different version of vSphere. This ensures that the fast pace of innovation and introduction of new capabilities in vSphere-based public clouds does not force the customer to constantly update and upgrade their on-premises vSphere environment. vSphere 6.7 also introduces Cross-Cloud Cold and Hot Migration, further enhancing the ease of management across and enabling a seamless and non-disruptive hybrid cloud experience for customers. As virtual machines migrate between different data centers or from an on-premises data center to the cloud and back, they likely move across different CPU types. vSphere 6.7 delivers a new capability that is key for the hybrid cloud, called Per-VM EVC. Per-VM EVC enables the EVC (Enhanced vMotion Compatibility) mode to become an attribute of the VM rather than the specific processor generation it happens to be booted on in the cluster. This allows for seamless migration across different CPUs by persisting the EVC mode per-VM during migrations across clusters and during power cycles. Previously, vSphere 6.0 introduced provisioning between vCenter instances. This is often called “cross-vCenter provisioning.” The use of two vCenter instances introduces the possibility that the instances are on different release versions. vSphere 6.7 enables customers to use different vCenter versions while allowing cross-vCenter, mixed-version provisioning operations (vMotion, Full Clone and cold migrate) to continue seamlessly. This is especially useful for customers leveraging VMware Cloud on AWS as part of their hybrid cloud. As the ideal, efficient, secure universal platform for hybrid cloud, supporting new and existing applications, serving the needs of IT and the business, vSphere 6.7 reinforces your investment in VMware. vSphere 6.7 is one of the core components of VMware’s SDDC and a fundamental building block of your cloud strategy. With vSphere 6.7, you can now run, manage, connect, and secure your applications in a common operating environment, across your hybrid cloud. This article only touched upon the key highlights of this release, but there are many more new features. To learn more about vSphere 6.7, please see the following resources. As part of any new vSphere release, VMware expects to make compatible versions of dependent products available within one quarter of general availability in most cases. At vSphere 6.7 general availability, compatible versions of VMware Horizon, VMware NSX, VMware Integrated OpenStack and VMware vSphere Integrated Containers will not be available. Existing Horizon, NSX, VIC and VIO customers are advised not to upgrade to vSphere 6.7 until compatible versions become available. For additional information on Horizon, NSX, VIC and VIO compatibility, please contact your VMware account team or reseller partner. Note: If there is more than one Network Interface and if the interface is not mentioned, the interface is selected based on the gateway IP. For more options like flushing the IP Routing table or to delete, modify IP Routing table entry use the route command with no arguments. This displays the various options for the route command. The following listings are a comprehensive collection of the flagship hypervisor product by VMware. All bold versions are downloadable releases. All patches have been named by their release names. 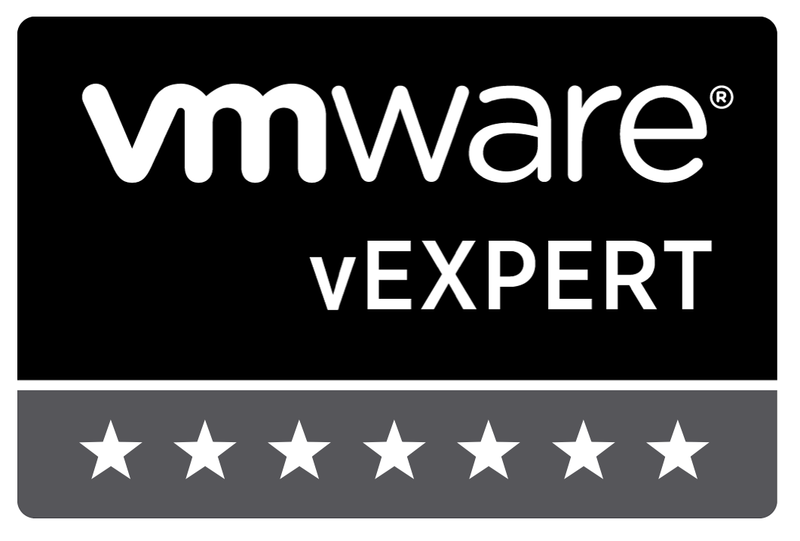 Please note that the ESXi hypervisor is available since version 3.5. Multiple steps are necessary to be protected, and all necessary information are often repeated, but were distributed over several websites, vendor websites, articles, blog posts or security announcements. If you use a hypervisor to virtualize guest operating systems, then you have to update your hypervisor as well. Just treat it like an ordinary operating system. Also if your using vendor created software appliances that may be based on OS distributions like CentOS then those need to be protected also. Let’s start with Microsoft. Microsoft has published the security advisory ADV180002 on 01/03/2018. Please note, that you also need a microcode update! Reach out to your vendor. The primary advice is to check your kernel version against the list of known patches, update if required, reboot your server and ensure you are then using the recommended patch. Please refer to the documentation made available below for information on which patches should be applied to mitigate Meltdown & Spectre. More information on how RedHat/CentOS is handling Meltdown & Spectre can be found at https://access.redhat.com/security/vulnerabilities/speculativeexecution. You can read an overview of how the issue affects RedHat/CentOS, its impact and ultimately how to resolve each version of the RedHat/CentOS OS. Three security advisories have been released for RedHat/CentOS 6 detailing security updates required. Five security advisories have been released for RedHat/CentOS 7 detailing security updates required. Ubuntu have not released updates as yet, but have said that they will be released by the 9th Jan. Deploy the updated version of vCenter listed in the table (only if vCenter is used). Deploy the ESXi security updates listed in the table. Ensure that your VMs are using Hardware Version 9 or higher. For best performance, Hardware Version 11 or higher is recommended. For more information about Hardware versions, read VMware KB article 1010675. Make sure that you also apply microcode updates from your server vendor!